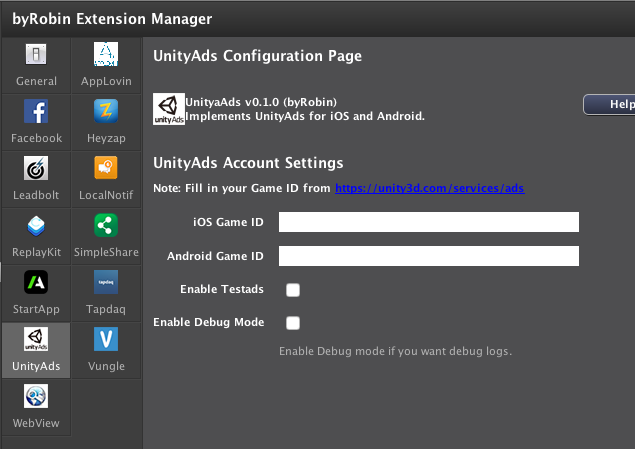 Bought this Unity extension and Applovin + Vungle. I'll let you know if I got problems! I have already worked with him and it is really good at programming! I think you are not setting the Ad placements correct from the UnityAds Dashboard. See first post, if you still have problems please share some screenshot of your code..
On iOS Multi Touch Event is required in you Game instead of single Mouse Click events. Before purchasing i didn't notice this line. I don't want to convert my whole game by Multi touch at any cost. Would you please explain why this is happening for Unity Ad besides heyzap. I know heyzap has confirmed about this problem in forum but why unity also not working for single touch. And when will this problem will be solved. No sorry cannot explane it, you can ask Unity about it. I only support iOS with multi touch for now. I am working with on other solution, but that is not working properly yet. So follow this tread for updates in future.. But for one of my project i am using Unity Game Engine & Unity Ads package. It's working properly, no multi touch is needed. I am working with that plugin peacefully, what would i ask to unity. I think it's from your side mate. Please double check your extension if there any issue for that. I have triple check it mate.... It is the combination with haxe/openfl that makes this issue with UIViewController when dismiss. The Unity game engine is not haxe and for the Unity engine there is an different SDK, so yes that is working with single touch because it is an different program language. Do not compere it with Unity please.. I use the the iOS SDK and the Android SDK, there is no issue with the extension mate, it's all working. As i said i am working on a Solution to solve the single touch with haxe/openfl problem another way. Hope this explane it a bit. Yes.... now it is clear to me. Thanks mate..... waiting for solution from you. You can download version 0.0.2 from your account on my website. I have created a way to get single touch working again after dismiss ad. Can you confirm if its working on your side.. I also need this update too! I tried downloading the new version on your website, imported into stencyl but I don't see in the extension list any difference. I see anyway Unity v0.0.1 (byRobin). try download it again and install it, after install restart Stencyl. Then you will see v0.0.2. Ok, now I see Unity 0.0.2. BTW I got a bug (I think it was already in the 0.0.1). If I try to use the block Unity Ads Reward Video Ad IS AVAILABLE in a drawing block it never change to TRUE. BUT, if I put this block in a normal event it become to TRUE only ONE time. After I check this block one time it changes to FALSE and it will become TRUE never again. Basically the Unity Ads Reward Video Ad IS AVAILABLE doesn't work, because even if it was false if use "Show Unity Ads Reward Video wi placement..." I see correctly the test video.